Creative Nassau (CN), the registered non-profit organization, which was successful in obtaining for the City of Nassau the prestigious designation ‘UNESCO Creative City of Crafts and Folk Arts’ in 2014, has relayed a warm welcome to the 64 new member cities of the UNESCO Creative Cities Network (UCCN). With this latest addition, the network now numbers 180 cities from 72 countries. “Internationally, 2017 has been a busy year with travel to our sister city of Santa Fe, New Mexico to investigate the participation of Bahamian artisans in the 2018 International Folk Arts Market there. 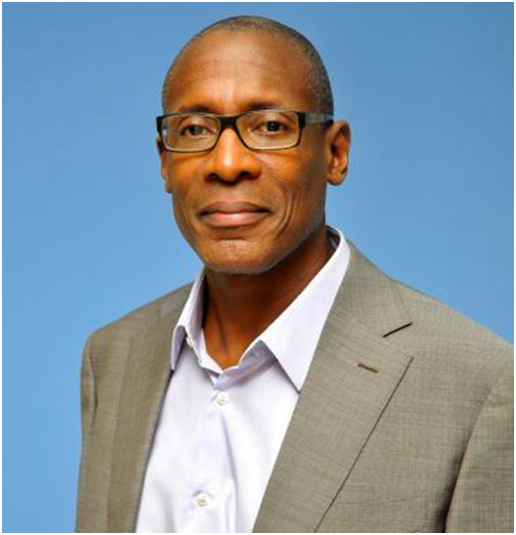 Creative Nassau also secured the participation of Peter Ives of Santa Fe as a keynote speaker at this year’s “Orange Economy” Webinar held in conjunction with the Central Bank of The Bahamas. 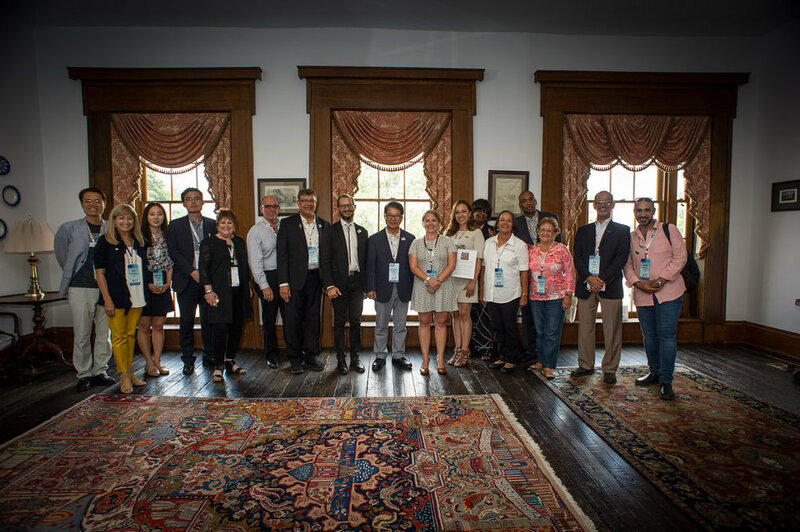 “In September, we attended the first ever UCCN Craft and Folk Arts Cluster Conference in Paducah, Kentucky where an official Declaration was signed by member cities of the Cluster stating our commitment to UNESCO’s 2030 Sustainable Development Goals. In October, Bahamian ceramicist Alistair Stevenson, who is presently completing his ceramics degree in Jingdezhen, China, curated and manned the successful Creative Nassau pavilion at one of the largest International Ceramics Fair in China. In November, travel to Bolivia to attend a Civil Society Meeting on behalf of the Inter-American Development Bank will also expand opportunity for further international networking. Paducah is home to the National Quilt Museum of America - quilting having been a catalyst for their successful transformation, along with their vibrant creative communities and healthy river industry. Mary Ann Jones, one of the founders of the Sew 'N Sews quilting group in Nassau, found the experience absolutely informative and enlightening, with the networking and connections obtained boding well for collaborative projects in the future. Pam Burnside, President of Creative Nassau, enjoyed connecting with the other sister cities present from the Network and obtained valuable insight into Paducah's successful use of creativity which completely transformed the city into the thriving rural centre it has become! The conference ended with the official signing of the 'Paducah Declaration' which set out the Cluster's commitment to working towards the United Nation's 17 Sustainable Development Goals for 2030. ....and the days were filled with activities, insights, a plethora of valuable information, and amazing down home southern hospitality - THANK YOU, PADUCAH!! See much more information on this event at the Paducah Creative City facebook page! CN President Pam Burnside traveled to Santa Fe, New Mexico last month as a guest of the UCCN Sister City of Crafts & Folk Arts to visit their annual and very popular International Folk Art Market with the view of the City of Nassau participating in the 2018 event! Whilst there, she also participated in a meeting with Mayor Cho of South Korea, another UCCN City that was also participating in the City's International Art Exhibitions exhibiting their amazing ceramics. It was an extremely enlightening and successful trip! The UCCN Cluster of Crafts and Folk Arts which comprises over 20 member cities, is preparing for their group's meeting in Paducah, Kentucky during September. UCCN 2017 Annual Meeting approaches! ONCE UPON A TIME WAS A MERRY OLD TIME, THE MONKEY CHEW TOBACCO AND SPIT WHITE LIME…..This is a story about love and loss, about fate and faith, about purpose and passion, about determination and drive, and about Caribbean culture and creativity. Once upon this time, there was a big head, boisterous Bahamian boy named Jackson Logan Burnside III who grew up to be an architect, artist, teacher and junkanoo, and a little biggity Bahamian girl, Pamela Jones who grew up to be a lover of words, fashion designer, kindergarten teacher and gallery owner. Both of them looooved The Bahamas with a burning passion, and, as fate would have it, they met in London, England, and fell in love. J&P came back to an independent Bahamas in the early ‘70s, got married, and embarked upon a shared mission of ‘showing off’ Bahamian art to the world by creating ‘Doongalik’ (that’s their own made up word from the ‘doong’ sound of the junkanoo goat skin drum, and the ‘kalik’ sound of the junkanoo cowbells), and established Doongalik Studios with the mission statement that: by the year 2020, more visitors will come to The Bahamas because of its Art, Culture and Heritage rather than merely for its sun, sand and sea. With fierce determination and unmitigated faith, these two cultural entrepreneurs went about the formidable task of promoting Bahamian fine art, culture, architecture, and junkanoo for decades, with a few like-minded artists, and no government assistance, slowly inching forward, one itsy, bitsy step at a time. Then in 2008, J&P attended the first UNESCO Creative Tourism conference in Santa Fe, New Mexico and returned home fired up to move their mission fast forward with a group of like-minded Bahamians, and BOOM!! Creative Nassau, a registered non-profit, civil society organization was born with the goal of positioning Bahamian Art, Culture and Heritage on the global stage! With valuable insight gained from the trip to Santa Fe, and using Bahamian Straw craft and the Junkanoo tradition as the main elements, they boldly applied for membership in the prestigious UNESCO Creative Cities Network - an amazing group of 116 cities from 54 countries around the world showcasing Creativity in seven fields, as the driving force for development and sustainability. This was something that no other Caribbean island had ever done – but J&P were not boisterous and biggity for nothing! They had faith, drive, determination, purpose and passion……and so the years-long journey continued along its path, resolutely pushing Bahamian Art and Culture forward through many activities such as: Transforming Spaces, an amazing annual Art Exhibition developed through the collaborative efforts of the Bahamian art community, an Art Exhibition at the Atlanta Olympics, along with the release of the Bahamian art documentary Artists of the Bahamas, featuring 11 master artists. But in 2011, fate intervened, and Jackson passed away before seeing the official launch of Creative Nassau in May 2014, and the subsequent success, in December of that year of obtaining that prestigious UNESCO membership for the City of Nassau to become a Creative City of Crafts and Folk Arts, a first for the region and another first because it was achieved without any government assistance! In the art world Jackson’s death was impactful – it triggered the first ever Junkanoo Exhibition “As We Knew Him” at the National Art Gallery of The Bahamas, which finally broke down the barriers between junkanoo and fine art and caused a dray-load of Bahamians to flock to the institution for the very first time. Later that year, a magnificent ‘Artists of The Bahamas’ Exhibition was mounted at the Waterloo Centre for the Arts in Iowa, travelling later to Florida, and exposing Bahamian art on the international stage. So now that you know the story of the past, let’s imagine what this mean for The Bahamas’, as well as the Caribbean region’s tourism brand, which has relied primarily on its ‘sun, sand and sea’ for decades. How relevant do you think this ‘sun, sand and sea’ model is in the present day 21st century? Bahamian Royann Dean made this observation, and it is a premise that is being discussed at length within the region, but to what degree is it being seriously considered or implemented in order to realize its true benefits? The DGLK and CN journey has embraced, and is living the tenets of the UNESCO Creative Tourism model, and is proof that it is successful – just from the efforts of a small group of determined creatives. So imagine what would happen if the powers-that-be, and the wider public came on board! By making art, culture and heritage the driving force of the tourism engine, and by using the skills of our phenomenally gifted people, who are the unique keepers of these elements, major positive impacts can be made in all of our countries - socially, physically and economically. In this 21st century, slavery is alive and well, and I repeat – slavery is alive and well, if we continue to be solely dependent upon, and beholden to foreign direct investment, and dictated to by the foreign owned cruise ship industry that we have allowed to define us! Or, do we wish to become the masters of our own fate, and to take that risk in ourselves: to have faith in our own people, and to believe in our boundless creativity to retain, grow and sustain the uniqueness of our tourism product, like Nevis is doing? Can you imagine the phenomenal impact this would have, and the power we would weld if we would embrace this model together? This is the important message inherent in “The Orange Economy” – a free e-book which can be downloaded online. Extremely user friendly, it clearly demonstrates why its message is so relevant and immediate for us all – there is no time to lose! e) A summer school arts programme in collaboration with the IDB, which impacted over 50 students by exposing them to the positive influence of artistic endeavours. As a result of this activity, a MoU has also been signed with Teleica Kirkland (pictured below) of the Costume Institute of the African Diaspora in London, England for a students’ exchange programme centred around Bahamian straw and sustainable fashion. h) The collaboration, along with other civil society groups, on the IDB’s Emerging and Sustainable Cities Initiative for the Redevelopment of Downtown Nassau and the Bain & Grants Town residential community which was also presented internationally during the AGM in Sweden. As my story winds down, strangely enough in another twist of fate, this year is proving to be a magical one with the journey coming full circle as DGLK and CN have been invited to be intimately involved in the unfolding of a Creative Tourism model with the Atlantis, Paradise Island Resort in the establishment of a successful twice-monthly Art Walk in Marina Village! The journey has been long, and the journey has been lonely, and although the road has been steep and winding, and dark, and filled with potholes, the steady movement towards the destination has not wavered, and there, in the distance, a light is shining, brighter every day, lighting the way for us to encourage and welcome others to join hands on the road to the future. …2020 is just around the corner and we gan soon reach! BE BO BEN, MY STORY END…Thank you! Members of the CN Market, which takes place on Wednesdays and Fridays in Pompey Square on Bay Street, held their AGM for the new year at Doongalik on January 26th to review their achievements in 2016 and to make plans for the new year in order to make 2017 even more successful! Our thanks, as always, were extended to our "Mayor", Mr Gevon Moss (back row, 3rd from left) of the Downtown Nassau Partnership, who is in charge of the Pompey Square activities! Creative Nassau Vice President, Patricia Glinton-Meicholas was one of the speakers on a panel at the University of The Bahamas' 2-day Symposium held in commemoration of the 50th Anniversary of the Bahamas' Majority Rule Day which was celebrated on Tuesday, January 10, 2017. The radio studio photo shows (left to right): Pam, Father Turnquest, 11th Grade student Dwayna Archer, Head Boy and Team Leader Justyn Sweeting, 12th Grade student Richard Hanna and Patti. It will take $50,000 to get the car and the students to Texas next year, so Father Turnquest would appreciate any donations towards this amazing cause. You can message him on his facebook page for further information or contact Creative Nassau. Let’s support these enterprising young students, everyone! The Creative Nassau Radio Show is proudly sponsored by Esso Bayshore and Esso Winton. Creative Nassau members, President Pam Burnside, CN Market Coordinator Rosemary Hanna and Vice President Patricia Glinton-Meicholas, were invited to address COB architecture and visual art students on October 27 about their organization and the crucial role that Creativity plays in nation building. The presentation was a part of COB's ongoing 'Conversations with...' series of lectures in preparation for the student's charge by the Minister of Foreign Affairs to design The Bahamas' Pavilion for Expo 2020 in Dubai. Each CN member made 15-minute power point presentations which dealt with the history and role of Creative Nassau, as well as the rich history of Bahamian Art and Architecture, in particular the clapboard house. CN members also elaborated on how the organization's mission to promote and celebrate Bahamian Art, Culture and Heritage from the inside out, is being implemented, and explained how the amazing lessons that exist within the architecture and art established by our ancestors contain the potential as engines for much needed national development and growth. Students were urged to take inspiration and pride from these Bahamian treasures.